Spend Valentine's Day with us...well with us and your significant other! This tickets gets you admission get you entry for 2 people, bottle of wine or 2 drinks each, tax and gratuity! Oh and a LaughPass! Limited tickets available for current LaughPass members. 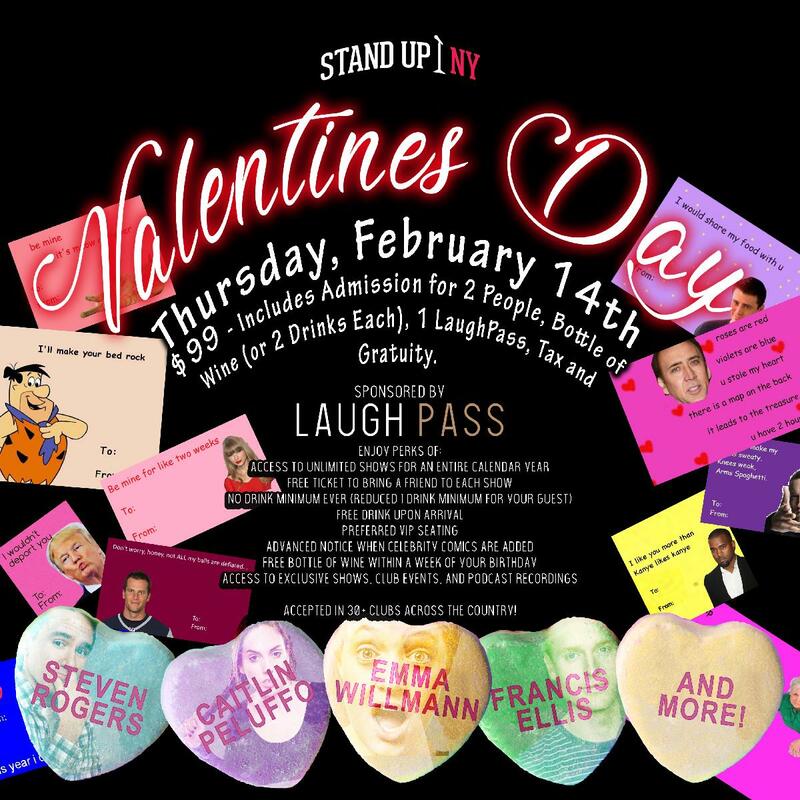 Please email Laugh@StandUpNY.com for reservations for our existing LP members. • ACCESS TO SEE UNLIMITED SHOWS - Shows 7 days a week!